Baby Needs a New Pair of Shoes! - Making over an old pair of flats. If you haven't checked out Aunt Peaches' blog, do yourself a favor. Ever since I saw this post, and this post, I've wanted to revamp an old pair of shoes. I would live in flats and flip flops, if the Michigan weather would let me, so I thought I would give some new life to a sad, doggie-chewed, pair I found in a local thrift store. 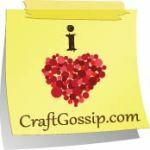 This is a perfect project for the pretty little scraps you have! I started with removing the bows (and saving them for who knows what craft later). Since I couldn't find my Tacky Glue, I sprayed the outside of the shoes with spray craft adhesive. Let it sit for a minute before attaching the fabric. This allows it to get tacky and will hold better. Cover with fabric and smooth into place. When you cut the center, make sure you leave enough to fold inward and glue. On the lower edge, I used a box cutter to trim up the fabric. I thought a nice trim would do a lot for the raw edges. If you want something less obtrusive, you could always use thin bias tape or fabric paint. For the heal, I made a simple fold like wrapping a gift, and use hot glue to keep it in place. When finished, I spread a layer of white glue all over the fabric and trim to seal it in and make sure it stays put. When dry, they're ready to wear! While browsing floral arrangements online, I saw a beautiful topiary arrangement. The price was less beautiful, as the flowers were fresh. It was, however, something I'd love to give my own mother and grandmother this Mother's Day. Just between you and me, I got my supplies at the Dollar Store. It's not that I have anything against spending more on a gift... but why, when you can get great quality items for less? 1.) Place your foam in the pot, and a stick (I used a bamboo skewer (like for kabobs) on mine but you can easily use one of the twigs) in the center for the foam ball. 2.) Use a pencil to mark where the bottom of the ball is. Remove the ball and then cut twigs to surround the skewer, using your mark as reference for length. Stick them into the foam and replace the ball. 3.) Use the moss to cover the foam in the pot. 4.) To make short flower pieces, first take the flowers and greens off of the wire stems. Then cut the wire stem into short pieces. Place the individual flowers onto the short wire pieces. 5.) Poke these flower pieces into the pot-foam (through the moss) until you like the fullness. 6.) Using the same process for making individual flower pieces, poke flowers into the ball- alternate with the greens- until you like the fullness. How easy was that!? I made these myself and I'm still looking at them thinking (a' la Stacy on What Not to Wear), "Shut-up!" These came to about $8 each, but you will have twigs, moss, wire stem, and greens left over. As my siblings, cousins, and I all get a little older there has been a lull in the births in the family, so we were very excited to learn of a new little bundle of joy on the way. One of the things I just love to make is a baby quilt. It's a quick project and when else can you use those cutesy fabrics? Since cousin A. is expecting a little lad, I delved into my blues and greens and decided to put together a pinwheel quilt. Pinwheel blocks are a good way to use up scraps, and they can be whimsical or even kind of posh. I've used this pattern to make a previous baby quilt, as well as a pillow and a couch throw. 1.) What makes this an easy block is a simple trick to making Half Square Triangles. So to start, cut your squares 7/8 of an inch larger than you want your finished square to be. I am cutting mine 4 7/8 inches, 12 squares each of 4 fabrics. 3.) Lay one square on top of the other (right sides together) and mark the center from corner to corner. 3.) Use this mark as a guideline to sew 1/4 inch away on either side. By the way, this is a great time to use chain piecing. 4.) When all the pieces are sewn on both sides of the center line, cut on that center line, press open, and you will have two half Square Triangles. 5.) Arrange your pieces in the pinwheel pattern. 6.) Sew your pieces together in sets (top, and bottom two) and press. 7.) Then sew these two sets together, press, and trim up the sides. As we learned with the Valentine's Heart Pillow: sloppy sides make for sloppy projects. 8.) Arrange in the order you desire. 9.) Cut the short sashing, 3 inches wide by the length of your blocks (3in.X8in. for mine), and sew to the bottom of the blocks **except for the bottom row**. 10.) Cut long sashing strips to go between the rows, 3in. wide by the length of the row. I like to cut the strips a couple of inches longer than the row just to make sure I have enough. 12.) Then layer with your batting and backing, and baste or pin together (more on the layers and basting). 14.) Then finish off with the binding. I can't tell you how much I love this one. I'm not bragging, I just get a kick out of seeing it all come together and imagining the joy and warmth it will bring. I'm a busy mom to three boys. In my spare time (ha!) I like to do something creative.